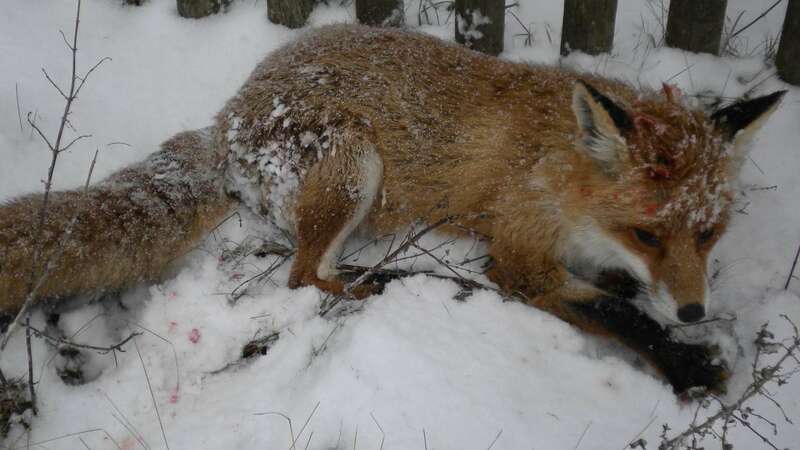 During a pressure hunt in Kerschlach (Upper Bavaria), a pack of dogs followed a seriously wounded fox to a private estate. He instructed, according to the owner of the garden, injuries to the lower abdomen, between the hind legs, on the head and on his lips. The chairman of the Hunting Association of the district, says: “What happened there that’s all right”!! And we say: Only psychopaths find it okay to let a badly wounded animal be massacred by the dogs!